Home / News / 2018-2019 Season Tickets On Sale Now – Early Bird Special! It’s that time of year again! 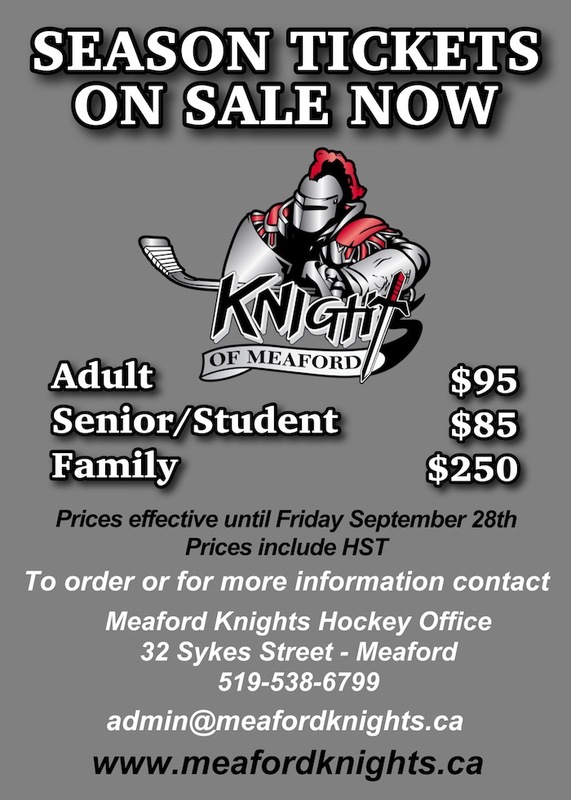 The Knights of Meaford are accepting ticket orders for the 2018 – 2019 season. From now until September 28th, 2018, you can enjoy a reduced rate on all season ticket packages for adults, seniors / students and family passes. Your season ticket includes all 21 home games plus you’ll be able to watch all home playoff games. This works out to almost half off the regular-season price. To order your tickets, please call the Meaford Knights Hockey Office at 519-538-6799 or use our contact page here. Limited time offer!